Caroline studied opera performance and musical theatre in college. 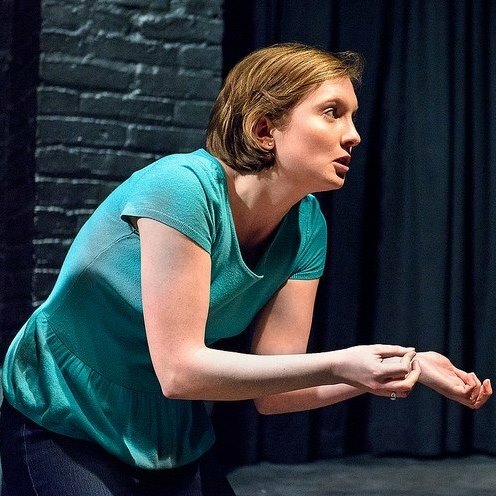 After graduating, she returned home to Baltimore and saw her first improv show with her mom. She was immediately hooked. Caroline studied and regularly performed improv in Baltimore and Washington, DC. In New York, Caroline writes and acts in sketch comedy, performs improv, musical improv, original characters and has a web-series. She is a writer/actor on sketch team, “Raditude” at The Peoples Improv Theater, directed by Monique Moses. Caroline is also a member of “Perry”, a House Improv Team at The Peoples Improv Theater. *Caroline's mom performs improv almost every night at Baltimore Improv Group. GO MOM!